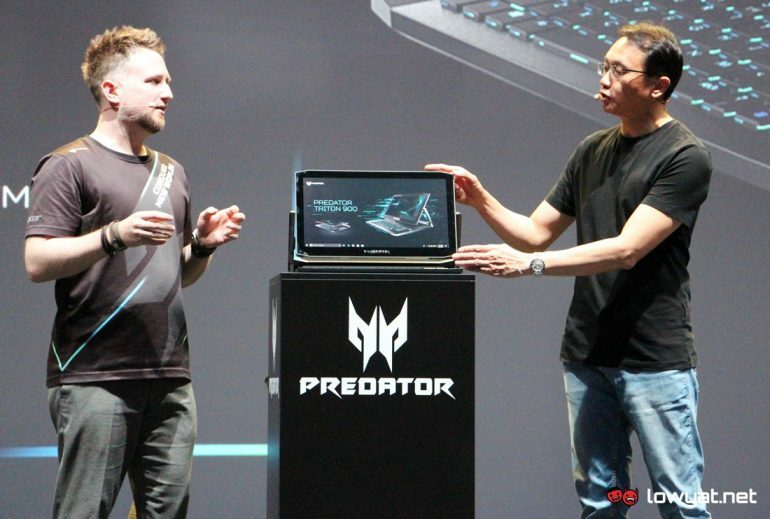 Aside from the majestic-looking Predator Thronos motorized gaming cockpit, Acer has also brought forward another awe-inspiring device to IFA 2018: the Predator Triton 900 Gaming Laptop. 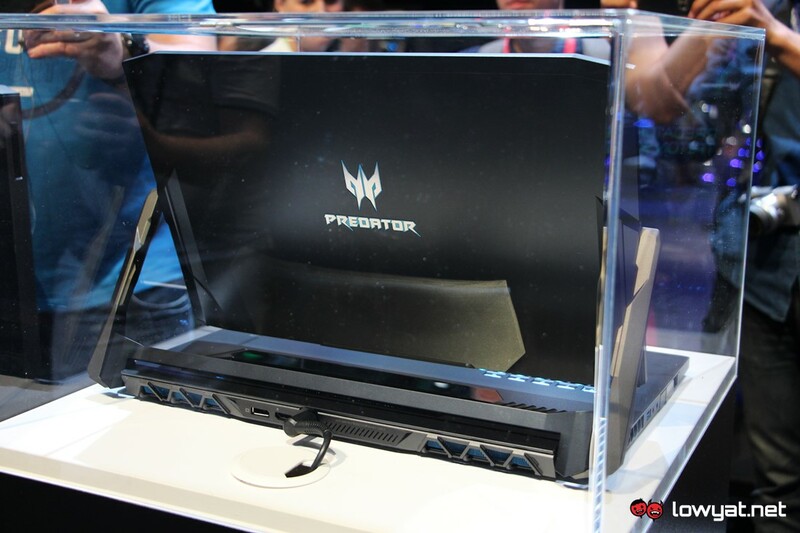 In many ways, it seems that the laptop was built upon the foundation of last year’s Predator Triton 700. 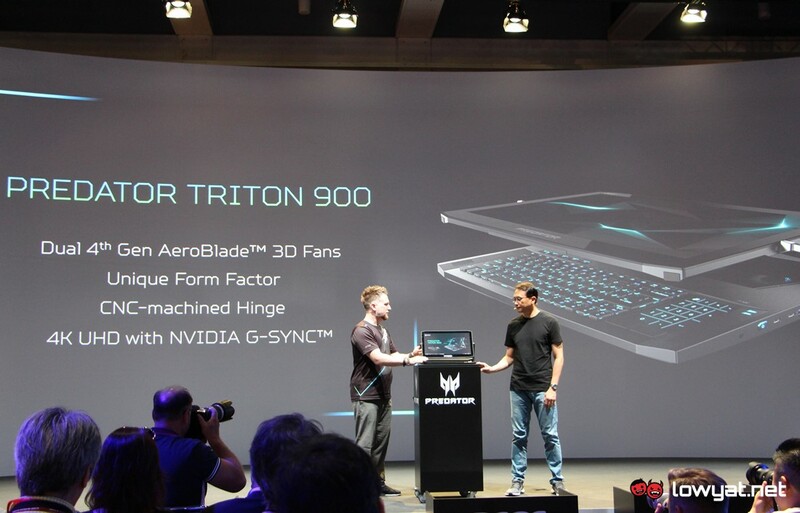 In fact, the base section on Triton 900 looks almost identical to Triton 700 especially with the existence of the translucent glass section which provides a glimpse of the laptop’s newly announced 4th generation Aeroblade 3D fan alongside the heat pipes on top of its CPU and GPU. Unlike the older model though, Acer decided not to turn this glass section into a touchpad due to feedback from users. Instead, the Triton 900 touchpad is actually located next to its low-profile RGB mechanical keyboard which can also be turned into a numeric pad. What made the Triton 900 different from other gaming laptops within Predator lineup is its form factor. Instead of featuring traditional clamshell design, the new model is actually a convertible laptop and comes with rotating hinges that allows users to position its screen in either standard laptop, tablet, stand, or tent mode. Speaking about its screen, the Triton 900 comes with a 4K touch display that supports NVIDIA G-Sync technology. However, we don’t have any other related information regarding the laptop’s display such as size and type since Acer has yet to publicly release the full specifications of Triton 900. Same goes to its CPU and GPU although we do know that they will come from Intel and NVIDIA respectively as both companies were featured in the trailer for Triton 900. This doesn’t surprise us thought as we were informed by Clark Gurden of the Predator division that the laptop is still going through development and they have yet to lock down the laptop’s exact specifications. Clark also pointed out that further refinement is still being done to the laptop especially its hinges although the unit that was shown at the Acer’s Global Press Conference (GPC) in IFA 2018 represents the final design of Triton 900. 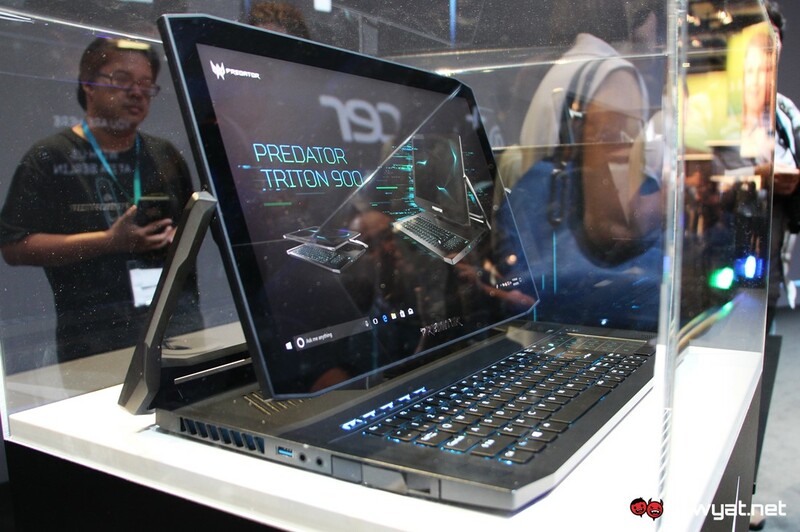 No actual price tag and release information have been announced by Acer for the time being, but we were told that the company has aimed to have the Triton 900 ready for the market by Q1 2019.